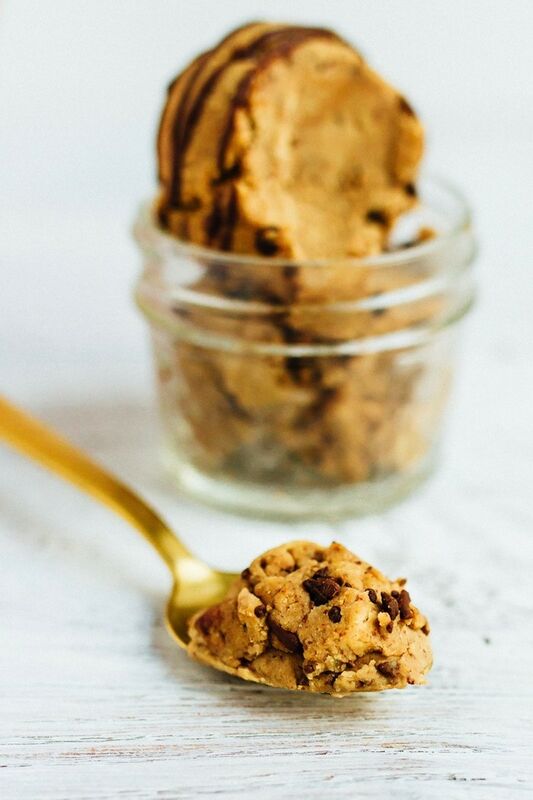 Edible protein cookie dough that tastes absolutely delicious! You’d never guess that it’s made with chickpeas, vegan and gluten-free. If you’re one of those people who makes cookies just so you can eat some of the dough, this recipe is for you. And guess what? You don’t even have to bake the cookies. 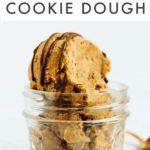 Just whip out your food processor, blend everything together and you’ve got yourself a bowl of edible cookie dough ready to be enjoyed. 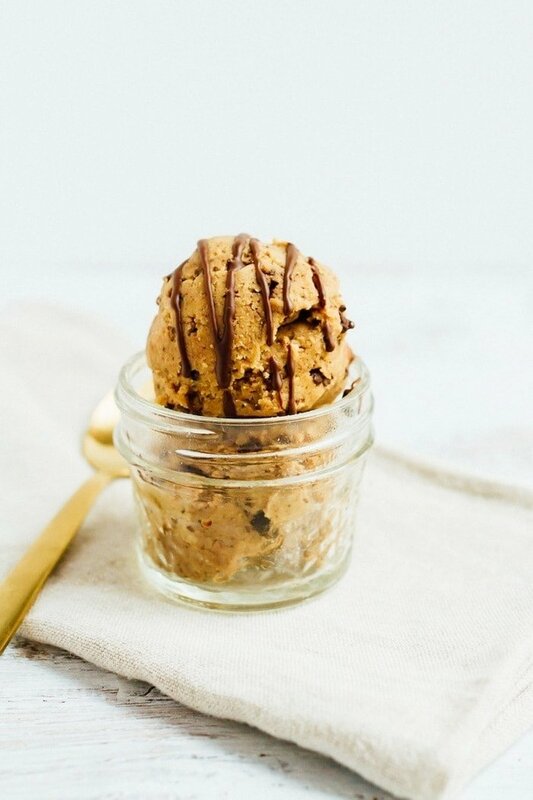 You can get fancy, scoop the dough into a cute sundae container and drizzle on some homemade chocolate magic shell OR just break out a spoon and dive in. Trust me when I say that this stuff doesn’t last long. I think we polished off three batches in three days. One batch per day, not too shabby. I feel like I don’t need to go into much detail about the recipe because it’s easy and pretty self-explanatory. That said, the dough is made with chickpeas. I know it seems odd that beans can create a delicious tasting cookie dough, but you just have to trust me on this one. If you can’t do chickpeas, no worries! 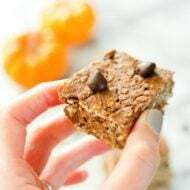 I have a recipe for vegan + gluten-free cookie dough bars that are just as delicious and they’re chickpea free. Grab the recipe for the bars here. Add chickpeas to a large food processor and process until they start to smooth out. You may need to use a rubber spatula to scrape down the sides. Add remaining ingredients protein powder, nut butter, coconut sugar, vanilla, sea salt and process until a ball of dough forms. Use a rubber spatula to separate the dough a bit, add chocolate chips and pulse 2-3 times or until chocolate chips get dispersed in the dough. Remove dough from the processor and enjoy! 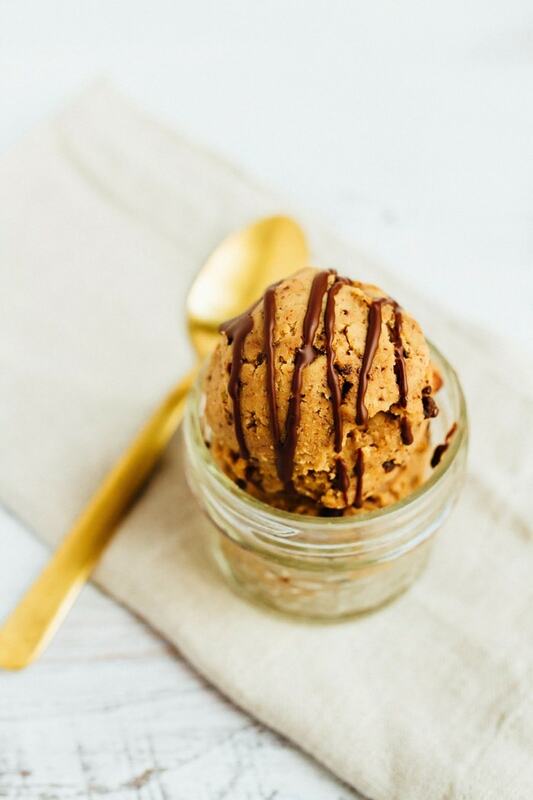 For a cookie dough sundae with the chocolate drizzle: simply use an ice cream scoop to scoop the dough into a small bowl. 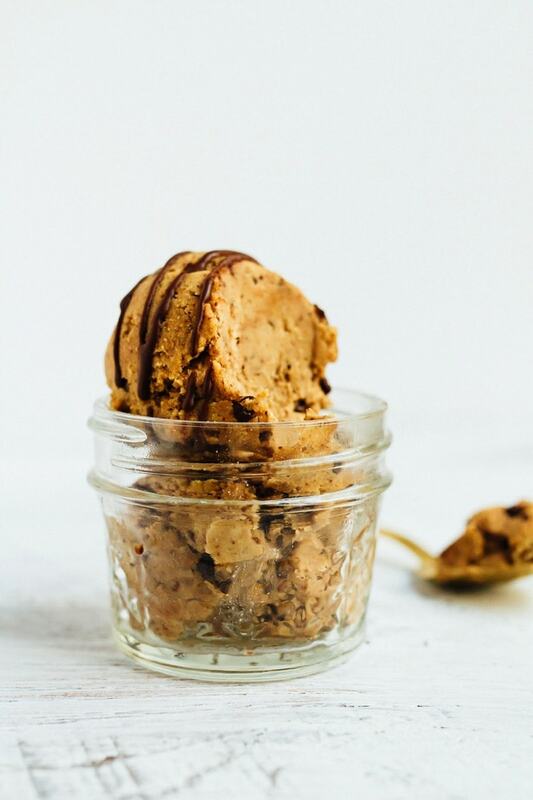 Melt 1-2 Tablespoons of additional chocolate chips with 1/2 teaspoon coconut oil in the microwave for 15-20 seconds and drizzle over the cookie dough. Enjoy. For cookie dough balls: roll the dough (using a heaping Tablespoon) into balls. These can also be dipped in chocolate for chocolate covered cookie dough bites. For cookie dough dip: add almond milk (about 1/4 or so) for a thinner texture that’s perfect for dipping. Serve with apple slices or graham crackers. Store any leftover dough in the fridge for up to 3-4 days. *Vanilla protein powder is ideal because it will have a little sweetness to it. If you don’t have vanilla protein powder on hand, you can use oat flour instead, but you’ll likely need more sugar to sweeten up the dough. I’ve used Tone It Up Vanilla Protein Powder and Sunwarrior Vanilla Protein Powder, both worked great! 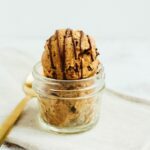 Be sure to let me know if you try this protein cookie dough recipe. Leave a comment and your star rating below. Seeing you try my recipes makes me all warm and fuzzy inside and it’s honestly what keeps me posting. That and your comments. I simply love connecting with you! Ohh yes, this is always the best part of any cookie! I can’t wait to try this with some graham crackers…or straight out of the jar! Yum! Yes!! I should have mentioned that it’s great as a dip too! Hope you love it, Juliette. Do you figure peanut butter would sub well? My husband is allergic to tree nuts and I’m not some kind of monster who would make something so delicious just for me. Yes! Peanut butter will definitely work. And agreed, your hubs would be so jealous if you made this and he couldn’t have any! When you give the nutritional info per serving & say ‘as served’ does that mean the whole thing? I’m ready to put it all in my face hole ???? This sounds so awesome! Definitely trying soon, thanks for sharing! Have you tried this with cacao nibs instead of the chocolate chips? Curious if I might need a bit more vanilla or sweetener to make it sweet enough for this diabetic foodie. I haven’t tried it with cacao nibs yet, but I think it would be delicious. I’d suggest making it as is and then adding a little more vanilla or sweetness if you feel it’s not sweet enough. Let me know if you try it! How much is 1 15 oz in grams? ‘Cause I checked and found its about 32g, but I think it’s wrong. ???? I think it’s about 420g or 2 cups! Hope this helps. I had to chip in here – no, it’s 3200 grams. The calculation uses: 16 ounces per pound, 454 grams per pound. So – 115/16*454. Oops – I re-read the ingredients – it’s asking for a single 15 ounce can of chick peas. 15 ounces is 425 grams. Shoot! Too bad it’s made with chickpeas…those really don’t sit well in my tummy, I get major digestive issues when I eat them. It looks amazing but I think I’ll have to drool at it from the sidelines this time. how much is one serving?? Hi Mary Nichols. One serving is 1/6th of the recipe, but I don’t know the exact measurement. I’ll make the recipe again this week and measure it so I can tell you exactly. Sorry about that! Hi Anna. I haven’t tested baking them into actual chocolate chip cookies, but I should I do think you’d need to add some baking soda or powder. Let me test it and I’ll report back! Oh, Brittany. I just made these and even at room temp they are great! Can’t wait to retry chilled… and magic shell covered!!! Thank you for your hard work ???? I have a lot of dried chickpeas in the pantry. Can I use those? If so, how? Sure! You’ll just need to cook them first. I’d measure out 3/4 cup of the dried chickpeas, soak them overnight and then cook them. Once cooked you should have around 2 cups of chickpeas, which is about the same as a 15 oz can. Hope this helps! Hi! I have an allergy to all nuts… what would be a good substitute for the almond butter?? Thank you! Sunflower seed butter would be a great sub for the almond butter. Let me know how the protein cookie dough turns out! Hey Brittany. 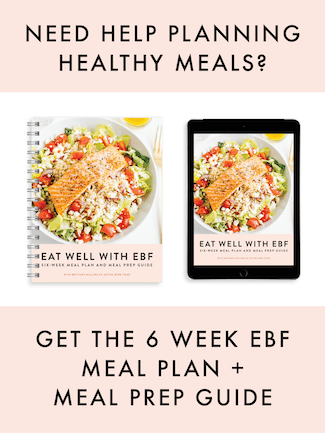 is there a way to exclude (or substitute) the protein powder? Really want to try this with leftover chickpeas. thanks for the recipe ???? Hi Ella! Using vanilla protein powder is ideal because it will have a little sweetness to it. If you don’t have vanilla protein powder on hand, you can use oat flour instead, but you’ll likely need more sugar to sweeten up the dough. 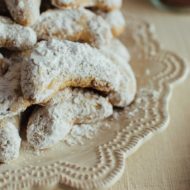 If you use flour, just taste it and sweeten as you see fit. I did this with sunwarrior protein, and I used double the chocolate chips you called for… it is amazing! The first time I used the recommended chocolate chips and it was still good! Yay!!! I’m so happy that you liked it, Matthew. Enjoy. What if I don’t want to use protein powder. What can I use? Made this with almond butter and without chocolate chips (I planned on sharing with someone who may have averse reactions to chocolate, even dairy-free). I ended up having to add about 5 teaspoons of almond milk to get it to come together. The dough by itself left me with a weird, slightly unpleasant aftertaste, but I ate it slathered like frosting on graham crackers (with added chocolate chips before they ran out), and it was amazing! 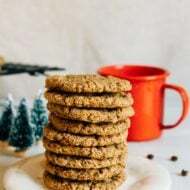 The texture is divine when paired with the graham crackers, and I’ll definitely add chocolate chips right in next time I make it just for myself. This is such an easy, tasty, healthy, and filling snack. Perfect for my weekends where I generally just graze aimlessly. This tempts me for a repeat performance despite my aversion to the food processor. Thanks so much for the recipe!